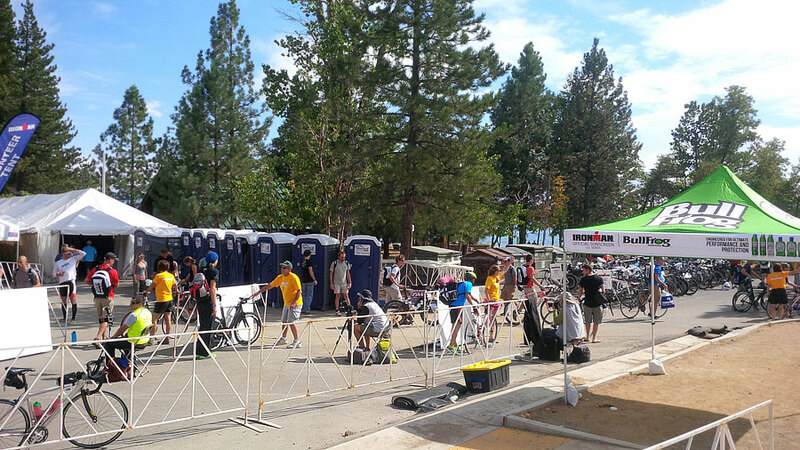 Thanks for all your comments in yesterday’s post about the Lake Tahoe Ironman being cancelled after my husband signed up for it, trained his heart out, and only to be disappointed by the outcome. 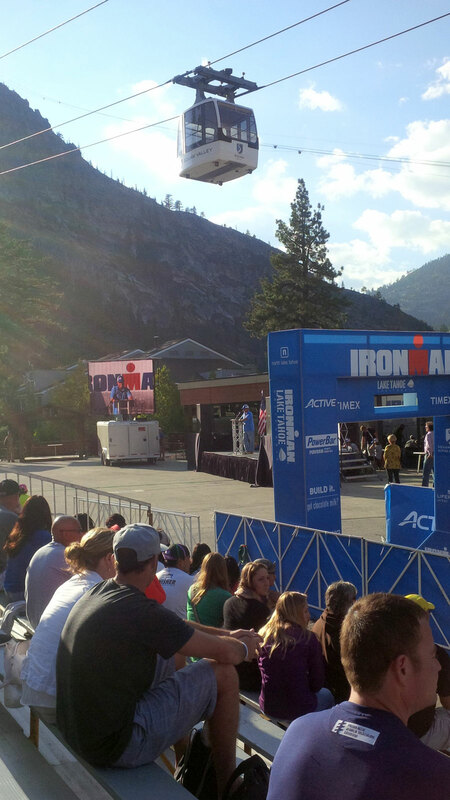 Ironman rectified the situation, which I have to be honest about – am shocked, really. 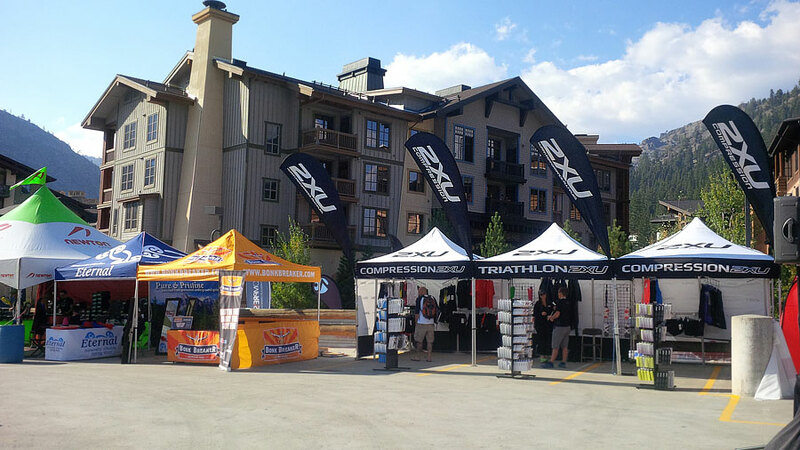 Ironman is known for never issuing refunds, but they sent out an e-mail yesterday giving athletes options for other races for a discounted price, or signing up for Ironman Lake Tahoe 2015 for free or nearly free. Despite the unfortunate circumstances which lead to cancelling Ironman Lake Tahoe on Sunday, my husband and I still managed to have a decent trip before it was called off. 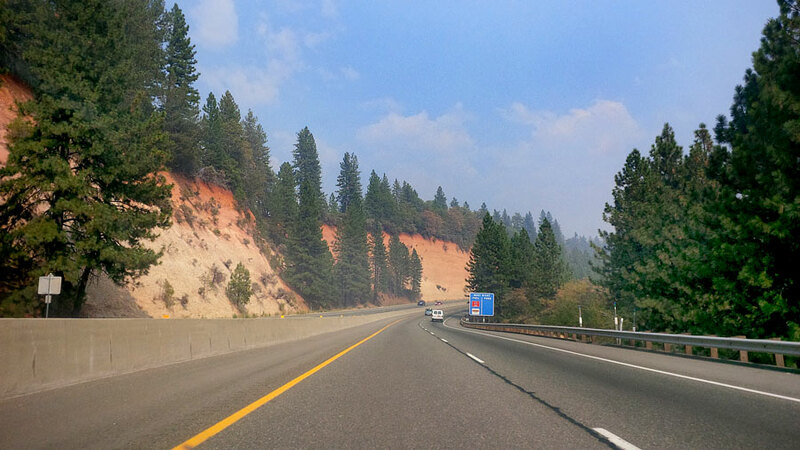 Our drive up took a little longer than usual, mainly due to traffic – but once we got close to Tahoe, the road cleared out. 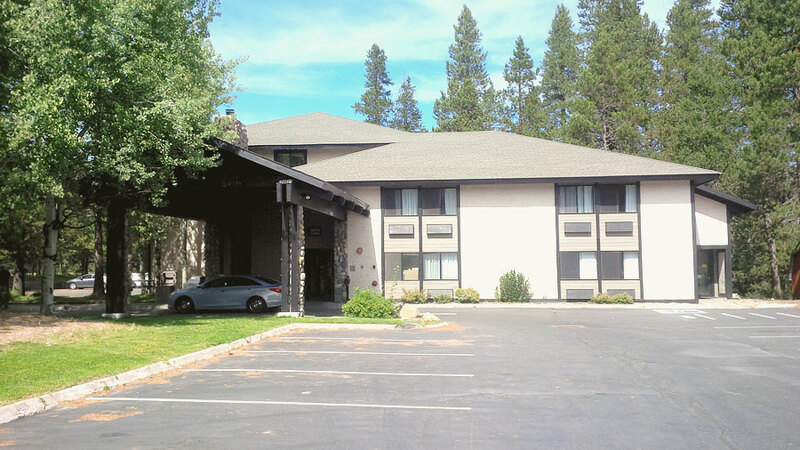 During our stay we rented a room at The Inn At Truckee. The hotel itself is a little outdated but overall we had a great stay. Our room was basic, but it was spacious, clean, had an updated bathroom and dog friendly. Even though the hotel is off the I-80 we didn’t hear any highway noise throughout the night. The Queen Room we rented included a fridge, a fridge, microwave and bonus: cable tv and free wi-fi for guests. There wasn’t a hair dryer in the room, so I walked down to the front desk and they let me borrow one for the duration of our stay. 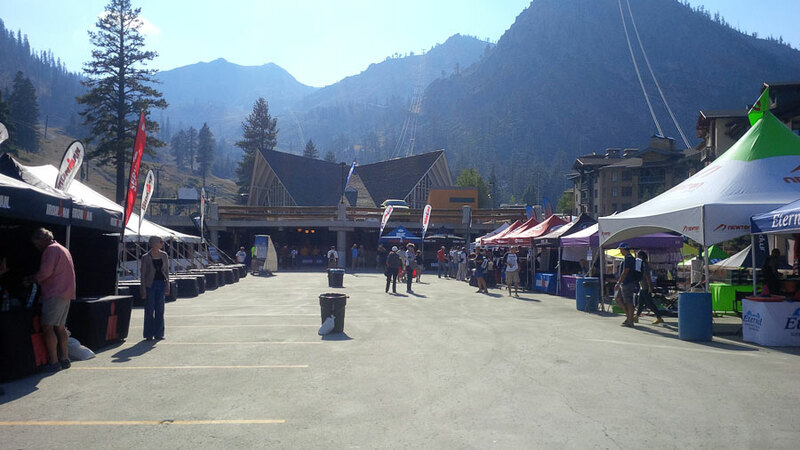 It’s great going to Ironman events like this, because we get to explore new-to-us cities, since we are new to California and this is our first time out in North Lake Tahoe. My husband and I don’t have cable, so we both love indulging in a bit of television when we’re on vacation. 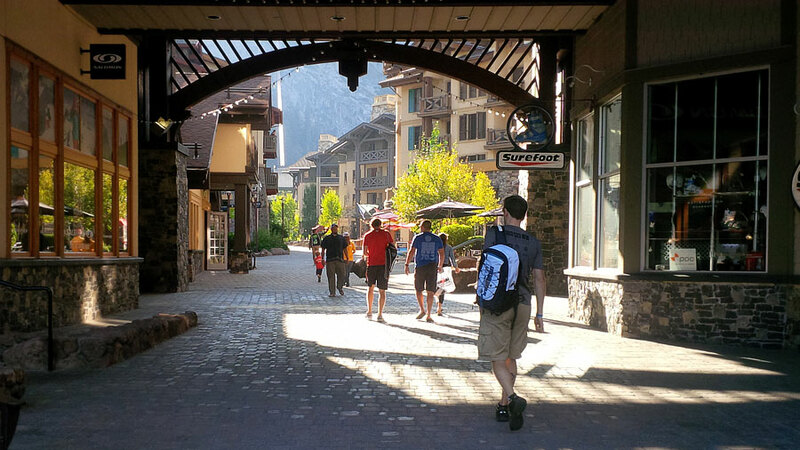 The Inn At Truckee was in close proximity to many shops and restaurants, so we walked anywhere if we needed to pick something up. Continental breakfast is available in the morning from 6:30am – 9:30am in the front lobby. There isn’t too much of a selection, but the fact that it’s free to guests is a bonus which we really appreciated. However on our second night, we had a bit of unexpected company when we went outside to hop in the car and grab a bit of supper. It was dusk when we left the hotel, and we exited the side door of the hotel. This is when we came face to face with a bear. I’m surprised that my natural instinct was not to scream, but simply boot it back into the hotel, I suppose fear silenced me. Luckily we were close to the door and got back inside quickly. We were no more than 8-10 feet from this black bear, hanging out on its four paws rifling through the garbage can. The bear was as scared as we were thankfully, so it took off when we ran. The Guy mentioned our bear sighting to the friendly woman at the Inn At Truckee front desk, and she said it’s common this time of year. Holy smokes, we definitely got a freight, that’s for sure. 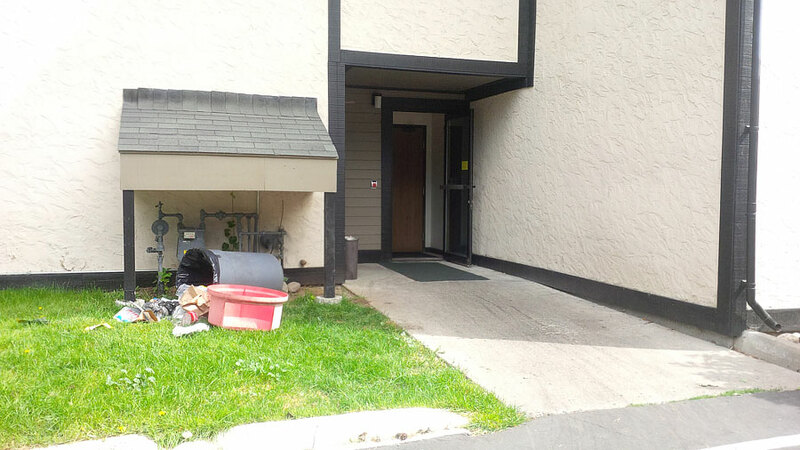 For comparison, the bear was at this garbage, and we were were on the path that leads to the side door shown. 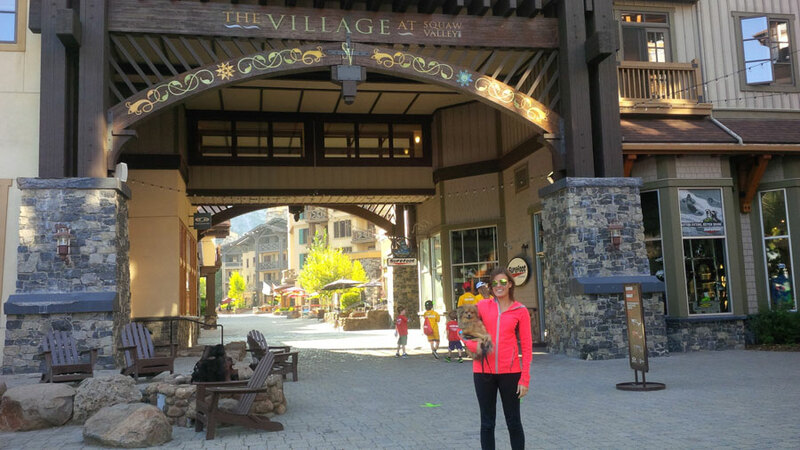 The day before the race, The Guy needed to head back to Squaw Valley where the Ironman Village was, to pick up a few essential items and tour around the expo.. 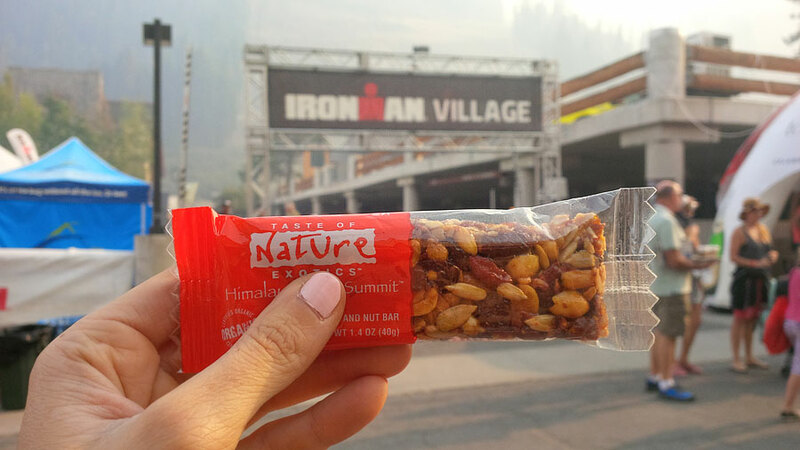 This is when I decided to finally dive into one of my Taste of Nature bars. These little bars were given to us as freebies at the BlogHer conference in July, but they contacted me shortly after to see if I wanted to receive more and possibly review them. They’re delicious, Canadian, and all natural (organic + gluten free too). So I brought a bunch with me to enjoy over the weekend. Since I gave up Paleo, the majority of my snacks still are clean, and mostly paleo friendly. So this was nice to bring with me, along with my unsweetened dried mango, and raw nuts. I’ve seen them both sold in stores in the USA and in Newfoundland, Canada when I went back home to visit. I can talk more about them if you wanted, in another blog post. 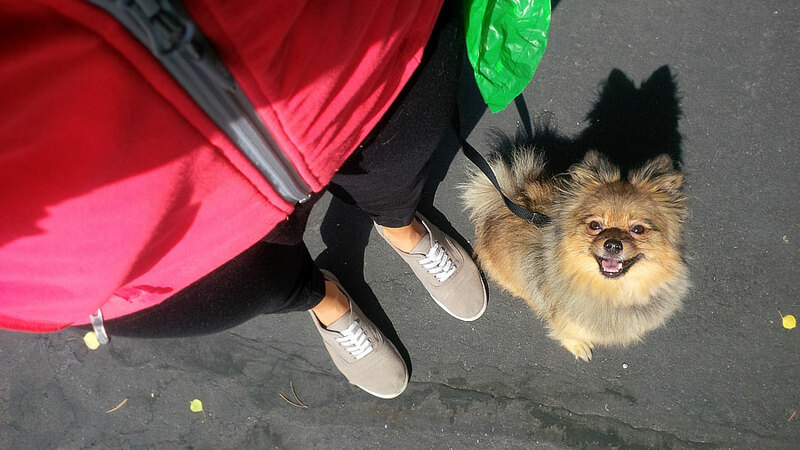 Alfie was being a little villain, barking at everyone in sight. Luckily most people found him cute. I’d like one of these two shirts. Preferably support crew. The bikes all set up in transition, the day before the morning of the official race start, then cancellation. 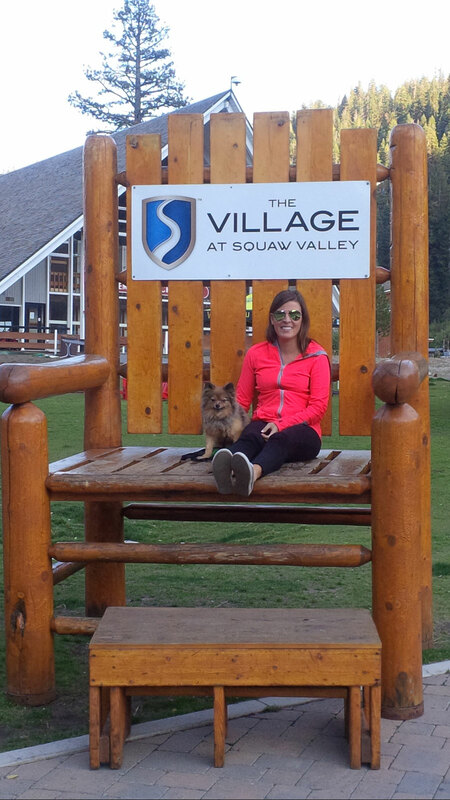 Alfie and I hanging out in a massive ol’ chair in Squaw Valley Resort, where transition 2, and the finish line was. He’s smiley, until you speak to him. Angry schnogg. 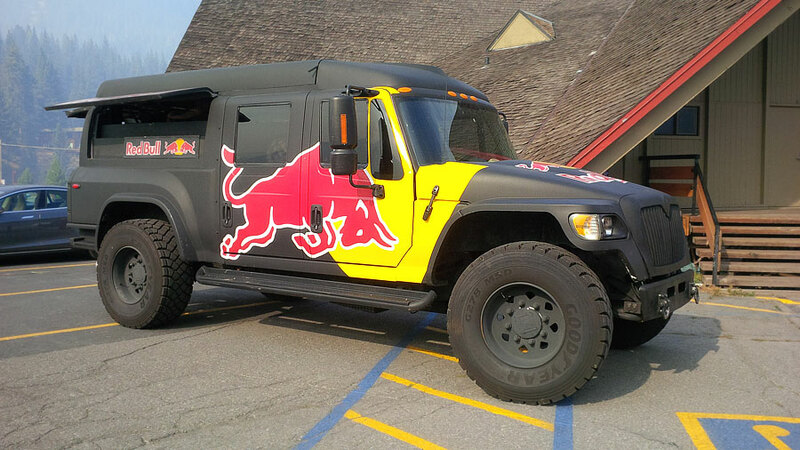 I don’t think this truck has wings. 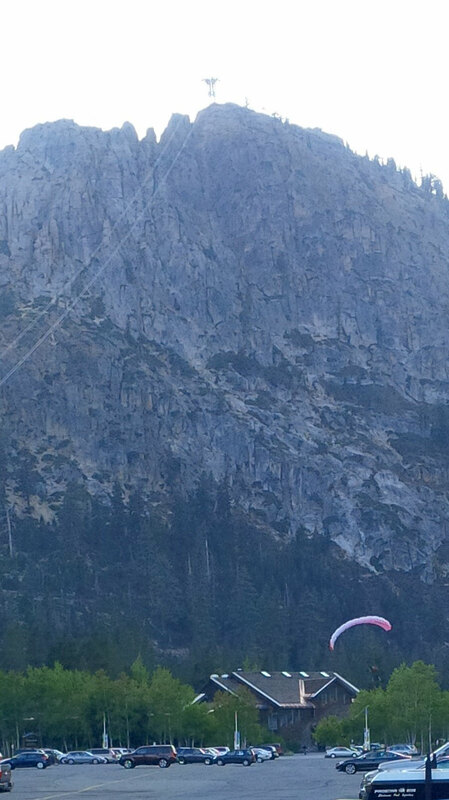 Walking back to the car, we spotted a paraglider coming down off one of the ski hills at the Squaw Valley Resort. Not something you see everyday. This was also the time the smoke was at its heaviest, late afternoon in Squaw Valley – you couldn’t see too far ahead due to all of the smoke. We had only arrived the night before, so The Guy decided to drive the Bike Course as it was known for a lot of twists and turns in the road. Shortly after I took this picture, The Guy ran over a squirrel. He was so upset, and I know this is morbid of me, but I couldn’t help but laugh when he said he’d have to pass it on his bike and knew that he was the one who killed it. I always seem to laugh at the most inappropriate times. I swear, I had to hide my face from him in the car because tears were streaming down my face from silently laughing. Poor little squirrel. 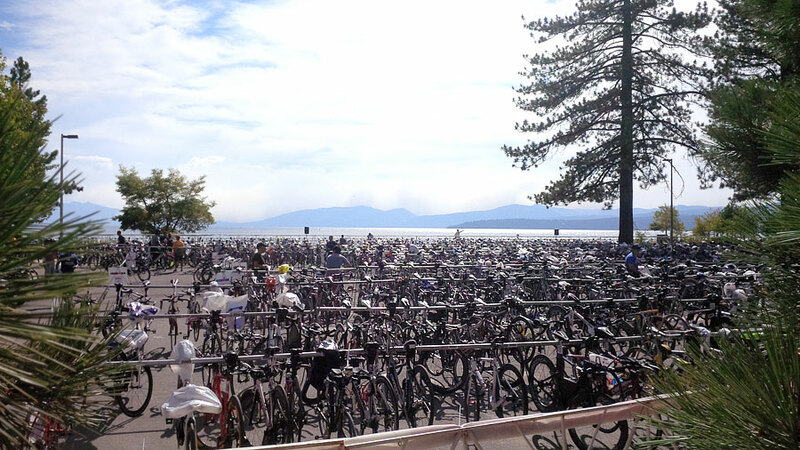 So what’s The Guy’s plan now that Ironman Lake Tahoe got cancelled? Find another race, ASAP. How about you? 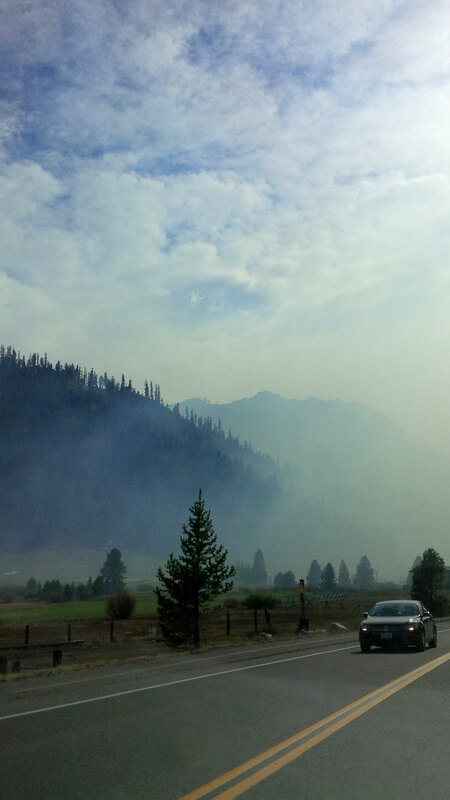 Did you get screwed with the Kings Fire at Lake Tahoe this weekend? Friggen’ arsonist. 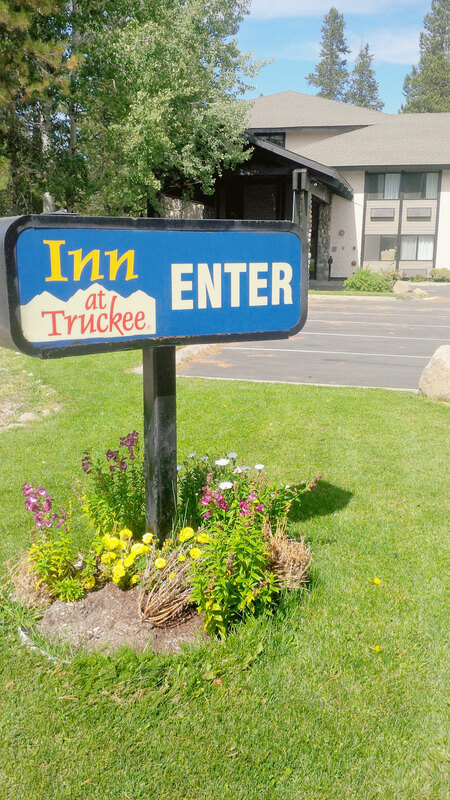 I’ve been to Truckee before, in fact, my husband and I stopped there on the way home from Tahoe. We went to a SUPER popular place called the Squeeze In, which is world famous for its omelettes. Did you see that place? It’s right on the main drag and definitely worth going to next time. ARGH- I read all about the race on yesterday’s post and was SO bummed for you. How awesome that they’re actually making it right! (Ahem, they should have done that without all the prodding from disappointed racers… ahem.) Glad you got to sight-see a bit anyway! Glad to hear they are making that mess right! I was totally bummed for you guys especially the hubs! I couldn’t imagine seeing a bear, I don’t know what the heck I would do! All the fires I hear about are so scary! And obnoxious! @Jeanine @ sixtimemommy.com: People are still pretty peeved about the situation. You only had 24 hours to decide on a new race, and that is not nearly enough time to plan/tell your boss/re-situation the problem. It’s not ideal, but it’s better than nothing. 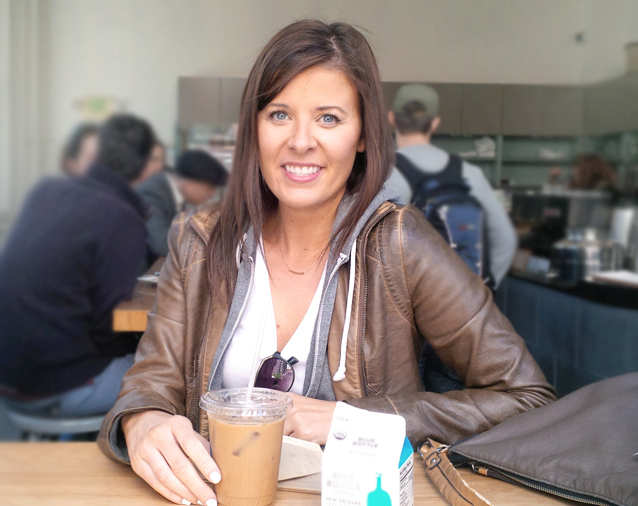 @Ashley @ A Lady Goes West: We didn’t go into downtown (or central?) 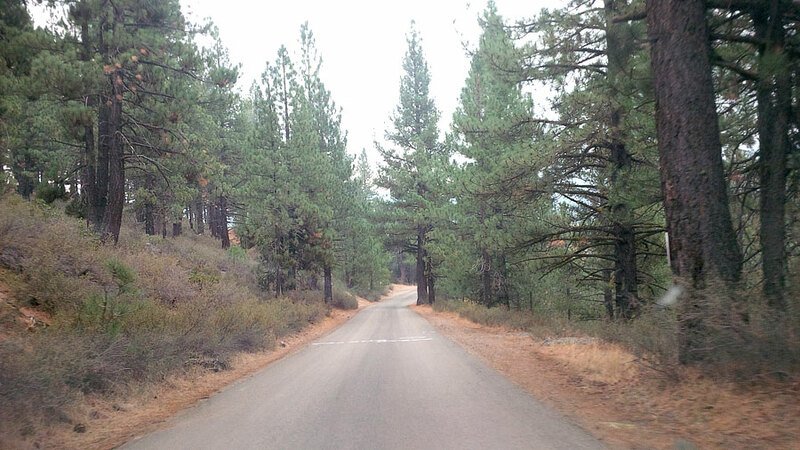 Truckee at all, just drove through it so I didn’t get to scope much of it out! World famous omelettes? Wish I knew about that before going. My husband LOVES omelettes. I just want to hug Alfie! My first instinct if I saw a bear would be to just freeze up! The biggest animal I’ve seen (besides at a zoo) was a cougar and my first thought was to ran but I just froze up! Wow, your photos are amazing! Thank you for sharing! I would die if I saw a bear. I’d prob. just pass out. The smoke looks horrible in that pic ! I’m glad they rectified the situation, that’s so crazy. 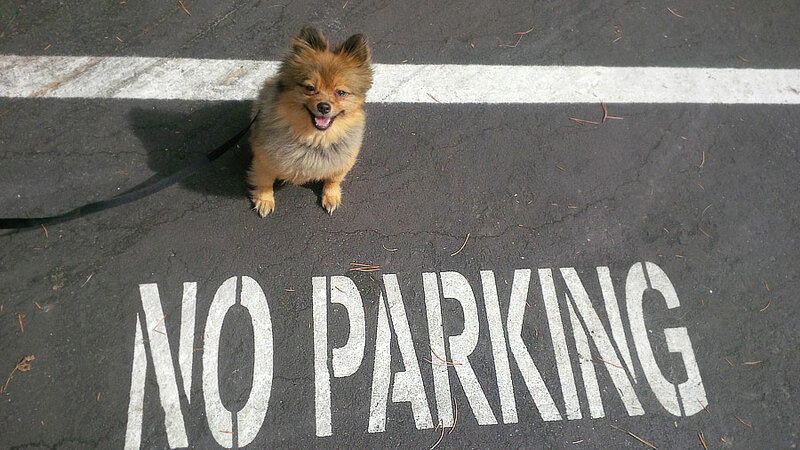 Such a cute dog! I’m glad you guys managed to have a bit of fun before the event was cancelled! Glad you guys had a good trip anyway! Yikes on the bear sighting! I have a sick sense of humor too. I don’t know if it is nerves or what, but I always get the giggles at inappropriate times. Wow, this town is gorgeous! 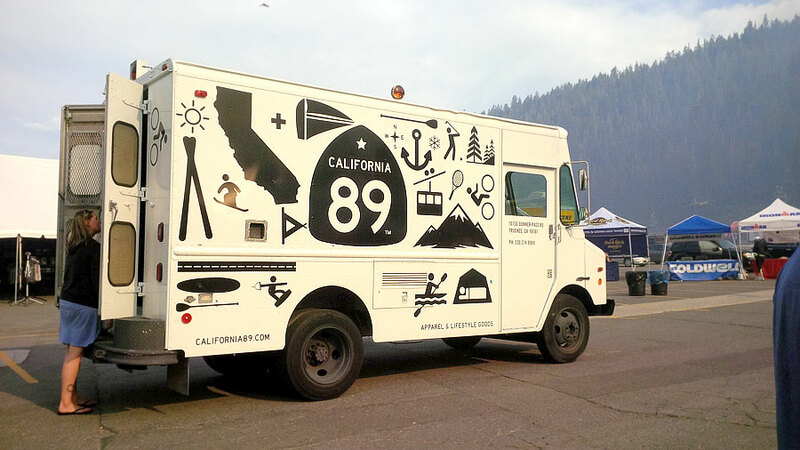 I really want to go to Lake Tahoe soon. I have no idea how I would react if I ssaw a real bear. I would freak out for sure. 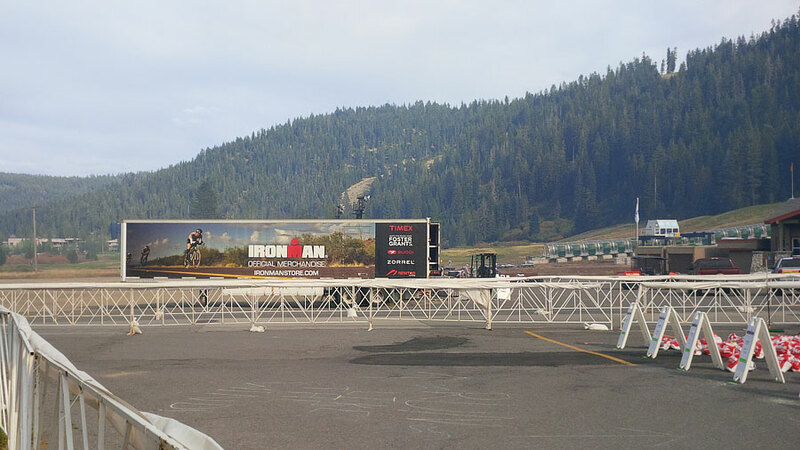 Too bad about the Ironman cancellation :-/ That wildfire smoke looks pretty intense! We don’t have bears here in Ireland and I think I’m glad at that fact. I think I’d die of fright if I ever encountered one! I love Alfie’s face when you said he was barking at everyone. What a ham. I really love Lake Tahoe as well, never been when it wasn’t snowing. 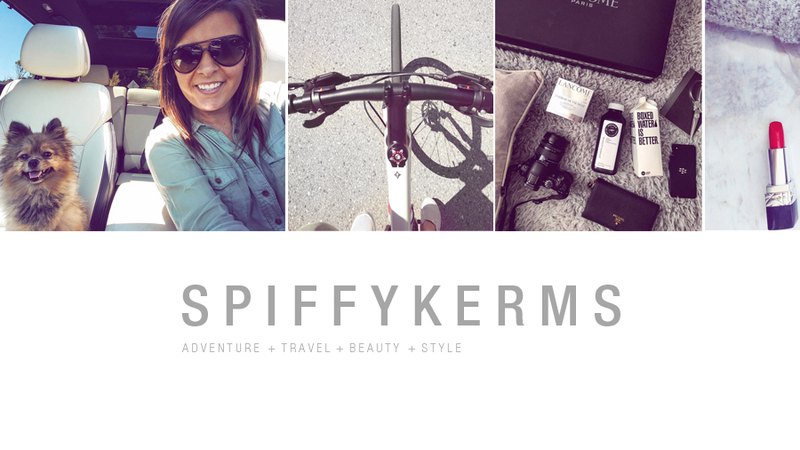 Are you going to Blog Party next week?? I felt so bad for all of the people who went down there and couldn’t race! So sad! I went to Tahoe on my honeymoon and we had an amazing time. I have some very similar pictures to yours, there was just snow on the ground. I would freak out if I saw a bear! Glad Iron Man is making it right. that trip looks like a lot of fun! and seeing a paraglider coming down must have been a sight – we have a sky diving place about an hour south of us & i’m always hoping we pass through & get to see one sometime.